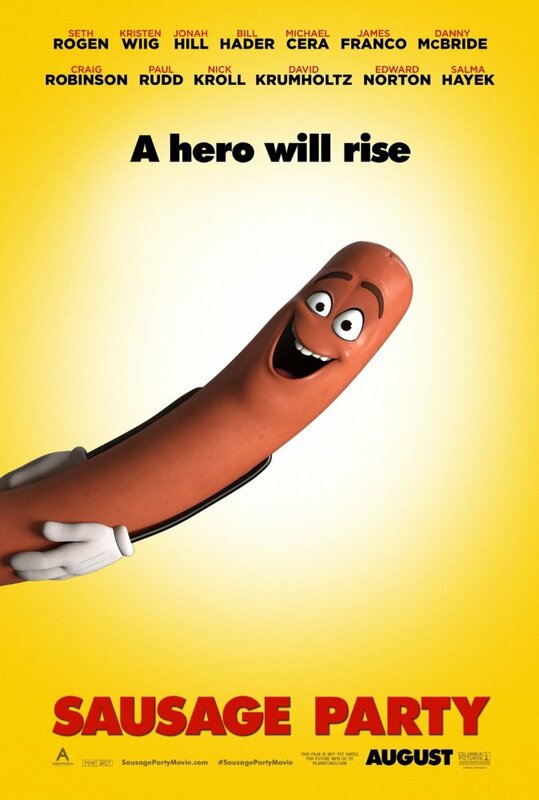 RYAN: This is an R-rated, animated film for adults, courtesy of one Seth Rogen and company. And I was hoping that, going in, it potentially could be as great as This is the End was but this time animated. And It’s basically The Secret Life of Groceries, only not as good as the Pets variety. It should be so wrong it’s hilarious, but on the contrary it’s just really stupid. I was bored. It would have been a clever short film. The opening was good as a musical number but I didn’t laugh once. It’s not enough to just be vulgar. The plot is a thinly veiled theme of peace in the middle east. And it seemed gross for the sake of being gross. CHUCK: I think I laughed twice. I thought the trailer was funny and I was looking forward to this but it could have just been one funny scene but it tried to be so much more. This would have worked better as an SNL digital short. BECKY: A short film would have been perfect. 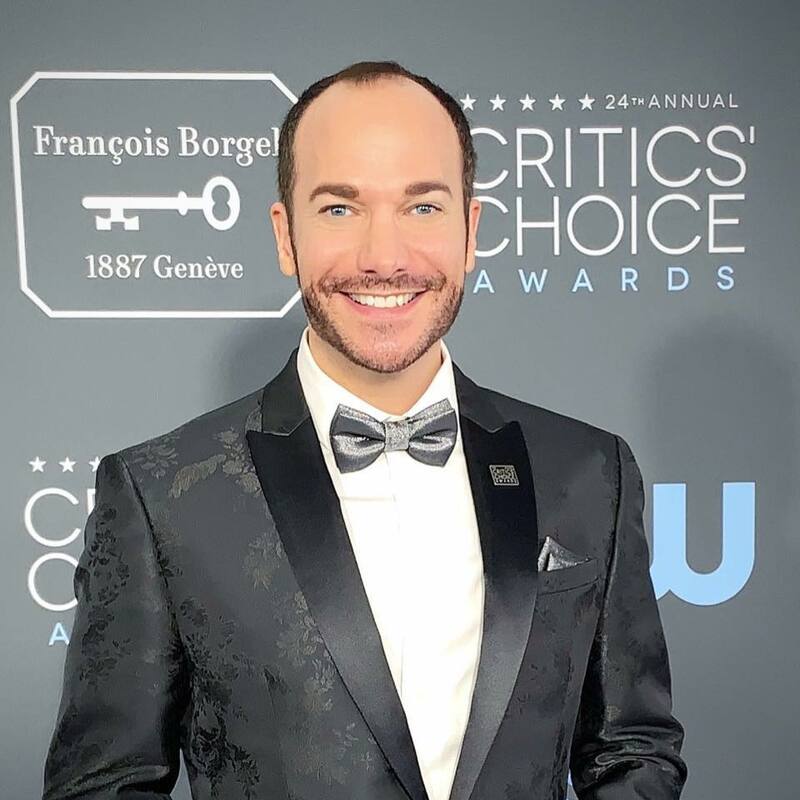 CHUCK: I love being offended when it’s universal and no one is safe – it offended anyone and everyone but this one wasn’t clever or funny, it was just straightforwardly offensive. RYAN: Yes there’s sexism, homophobia, racism… and it’s not comical. It’s just lame. CHUCK: The coolest scene is one in which spoofs Saving Private Ryan. BECKY: Yeah that was really well done. CHUCK: Otherwise I don’t know how or why it was made. RYAN: It’s the cast and people behind it. It’s a bit of a vanity project because the script isn’t good. And I love this cast. And I’m sure hearing all of them sign on is enticing to investors. Seth, James Franco, Michael Cera, Edward Norton, Salma Hayek, Kristen Wiig… they’re all great. But if you read this script as a live action film, it would be ridiculous. So the animated groceries make it work in theory as a ranch animated film for adults. But it still needs to actually be funny. BECKY: Everyone has the friends who sit around getting high and thinking of a dumb movie. And I’m offended they made this a full length movie and were even able to make it because it’s not good enough. I’m glad we didn’t pay for it. If you look at a movie like Team America, which has the same target audience, it worked because it was funnier. This one didn’t go enough places. CHUCK: And it wasn’t intelligent. RYAN: And this one isn’t subversive like Team America was. 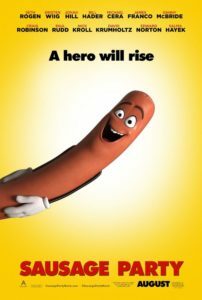 Sausage Party just seems vulgar for the sake of being vulgar. RYAN: Basically, if you subtract the R-rated language out of the script, it’s just dumb. As an audience, aren’t we past the point of giggling as a grocery who swears? That alone, is not funny. Just because you throw swear words in there doesn’t make it funny. BECKY: I laughed only once and when it was dark for the humans. The raunchiness never got me. RYAN: I understand that the food is talking but then the villainous character was not food an he was talking but he was the only inanimate object in this to speak who wasn’t a food item. So odd. It’s a waste of time. This movie actually made me tired. I am resentful I couldn’t have gotten other work done instead of watching this. BECKY: The were horny foods who became whores. RYAN: It’s just not worth it. Even the ending it pointless.